Fischer's top of the line rollerski provides a smooth ride thanks to the Air Core Composite frame. 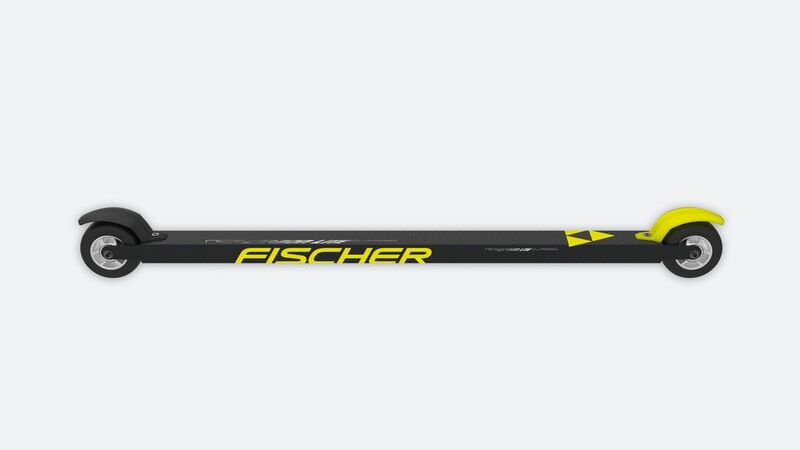 Fischer's top rollerski model with integrated backstop provides a smooth ride due to its optimised Air Core Composite frame. Additionally, the large axle spacing of the rollerski ensures good ground contact of the front wheel for the best possible tracking when using the classic technique.